The Canon EOS Rebel T7i is among Canon’s wide range of cameras targeted toward the mass consumer market. This is for casual photographers who are using DSLRs for the first time to explore more of the hobby. Its main features include a 24 MP APS-C sensor with dual pixel AF design. There are 45 horizontally and vertically sensitive AF points and built-in Wi-Fi, Bluetooth, and NFC. The Rebel T7i can shoot up to 60 fps of 1080p video and has electronic IS. Finally, this camera has a fully articulated 1.04M-dot rear LCD. We went over some great lenses you can try out for the Rebel T7i to maximize this camera’s capability while you get to shoot the things you love. This Canon lens is an APS-C EF-S-mount lens with a range of 18-200mm. Its aperture range is from f/36 to f/3.5, and it uses two UD elements and two aspherical elements. The Canon EF-S 18-200mm f/3.5-5.6 IS comes in Super Spectra Coating. This lens uses Canon’s Micro Motor AF system. It has the Optical Image Stabilizer and a rounded 6-blade diaphragm. The image stabilization is more than satisfactory for us. It is able to cope with the typical shaking you encounter normally. It also lets you stop down to capture nice shots under low-light conditions without having to do too much post-processing. Based on its merits, the Canon EF-S 18-200mm f/3.5-5.6 IS is an ideal lens for travel photography and other applications that need good image stabilization and wide zoom ranges. One problem you may encounter is some distortion and chromatic aberration under a few shooting conditions. However, these are common compromises made when the zoom range is widened this much. This EF-mount APS-C-format lens from Sigma has an aperture range of f/36 to f/3.5. It comes in Super Spectra Coating and has a rounded 6-blade diaphragm. The lens uses two UD elements and two aspherical elements. The Sigma 18-300mm f/3.5-6.3 DC OS uses the Micro-Motor AF system and Optical Image Stabilizer. The body is compact and light, but the build is quite sturdy in our opinion. Overall, we think this is quite a bargain. 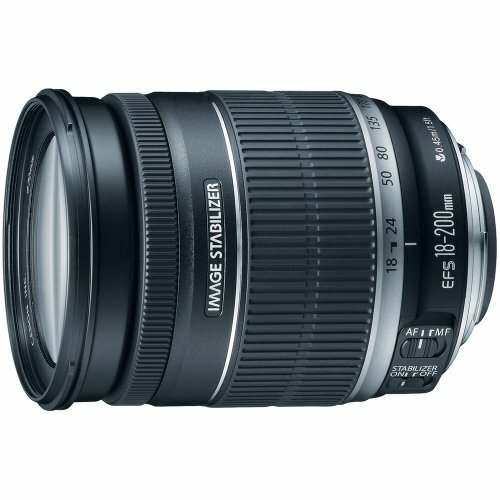 The Sigma 18-300mm f/3.5-6.3 DC OS is a good do-it-all lens with versatile applications. We recommend this for active and travel photography. 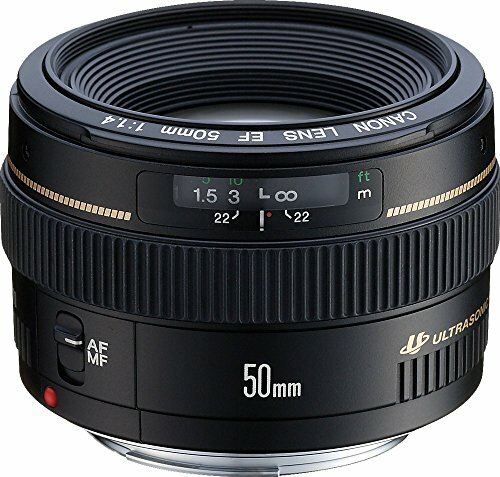 The Sigma 50mm f/1.4 DG HSM Art has super multilayer coating, one molded glass aspherical element, and three special low-dispersion elements. This lens uses a hypersonic AF motor and offers an aperture range of f/16 to f/1.4. It uses a stylish brass bayonet mount and a rounded 9-blade diaphragm and sports a large-diameter design. In general, the Sigma 50mm f/1.4 DG HSM Art produces sharp enough images throughout its range. There is nearly negligible distortion and chromatic aberration. Also, flare resistance is good. These are major hits for us because you rarely see these together in lenses in this price range. The only potential problems we are seeing are the size and weight of the lens and the lack of weather-sealing. You may notice that it is a little bigger and heavier than most other lenses in its class. Meanwhile, the lack of weather-sealing is always a problem if you shoot a lot outdoors. 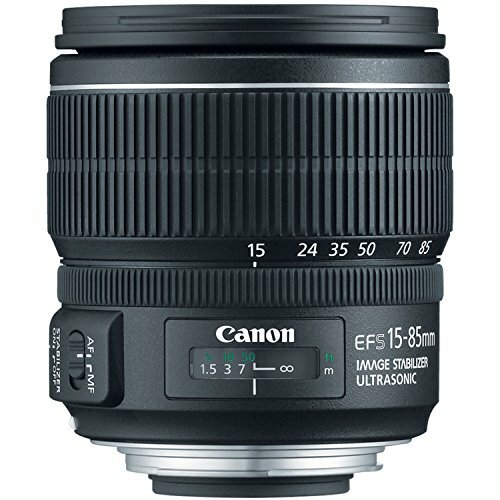 The Canon EF-S 15-85mm f/3.5-5.6 IS USM is an APS-C EF-S-mount lens. The aperture range is f/36 to f/3.5, and there are three aspherical elements and one UD element. This lens has Super Spectra Coating, ring-type Ultrasonic Motor AF, Optical Image Stabilizer, and a rounded 7-blade diaphragm. Its range is 15-85 mm (24-135 mm), which is ideal for most of the travel photography. We love the work of the image stabilizer as well. 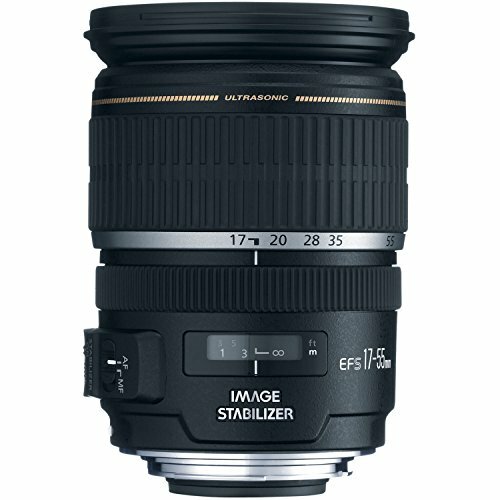 The Canon EF-S 15-85mm f/3.5-5.6 IS USM is good for general photography and similar applications. Another full-frame lens from Canon, the EF 50mm f/1.8 STM is an EF-mount lens that uses an STM AF motor with manual focus override. Movie Servo AF is supported. The aperture range is f/22 to f/1.8, which should give you just enough flexibility in shooting under typical conditions. We find the build quality way above satisfactory. We also like the metal lens mount, which is more durable than those you can find in many lenses at this price point. The Canon EF 50mm f/1.8 STM has a minimum focus distance of 14 inches and a rounded 7-blade diaphragm. The lens coatings are also optimized. We think this Canon lens is sharper than expected from a lens belonging to this price range. This is an ideal prime lens for your Rebel T7i. The Canon EF 50mm f/1.4 USM uses two high-refractive index elements and one aspherical element. It is an EF-mount full-frame lens with an aperture range of f/22 to f/1.4. The lens has Canon’s Super Spectra coating and a rounded 8-blade diaphragm. 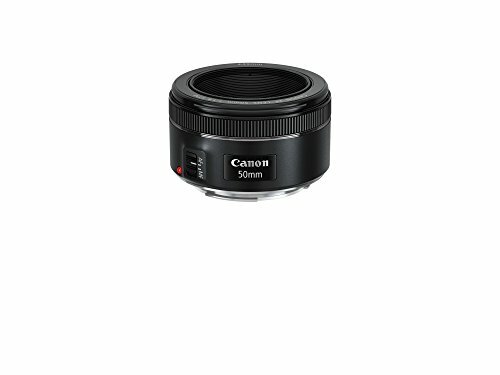 The Canon EF 50mm f/1.4 USM uses the Micro Ultrasonic Motor AF system. The Canon EF 50mm f/1.4 USM is ideal for three main reasons. First, the autofocus is accurate and fast enough. Second, for most conditions, there is a negligible chromatic aberration (if any). Finally, the image quality is better than you would expect at this price point, especially when you stop it down. There are just some reports about poor image quality when it is wide open. According to some, sharpness and vignetting can show, and some chromatic aberration can be noticed when shooting bokeh. Nonetheless, we think the Canon EF 50mm f/1.4 USM is a great lends you can use on your Rebel T7i. The Canon EF 100mm f/2.8L Macro IS USM is a good macro lens option for your Rebel T7i. This is an EF-mount full-frame lens, and the aperture range is f/32 to f/2.8, which is useful and decent for the price. The Canon EF 100mm f/2.8L Macro IS USM is weather-sealed and comes in Canon’s Super Spectra coating. It also uses one ultra-low-dispersion element and a rounded 9-blade diaphragm. The minimum focus is 11.8 inches, and the magnification is 1:1. Looking at these features, we believe the Canon EF 100mm f/2.8L Macro IS USM is versatile enough for most applications. 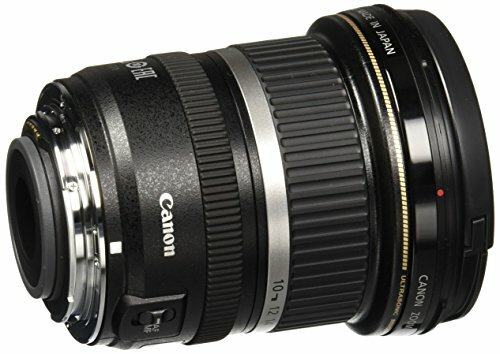 This Canon lens has a ring-type Ultrasonic Motor AF system. There is Canon’s Optical Image Stabilizer and a focus range limiter. 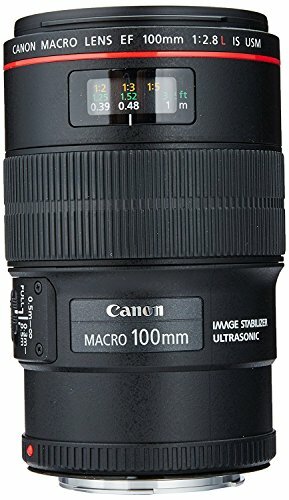 All in all, we prefer the Canon EF 100mm f/2.8L Macro IS USM to many other lenses at this price point and suggest that you get it as the macro lens for your Rebel T7i. 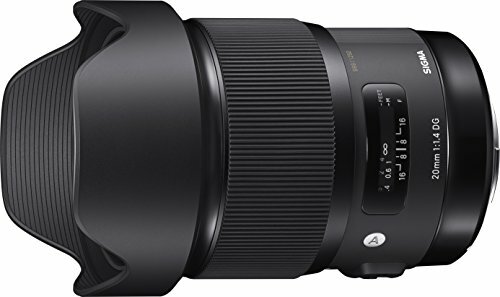 The Sigma 20mm f/1.4 DG HSM Art has an aperture range of f/16 to f/1.4 and uses two FLD elements, two aspherical elements, and five SLD elements. This Sigma lens has a built-in petal-shaped lens hood, Super Multilayer coating, and a nice brass bayonet mount. It has the Hyper Sonic AF motor with manual override. 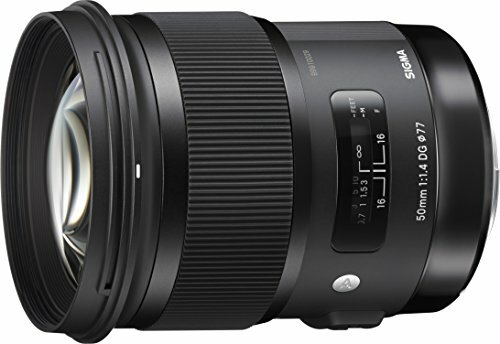 The Sigma 20mm f/1.4 DG HSM Art is a little heavier than most other lenses in its range, but it is nevertheless an ideal lens for general photography. This lens does well for landscapes, although you may experience some soft edges unless you stop it down a bit. You can also use this for night sky photography or astrophotography. Just keep in mind that it is not weather-sealed. Overall, we believe that the Sigma 20mm f/1.4 DG HSM Art is well worth the price and gives awesome value for Rebel T7i owners. The Canon EF-S 10-22mm f/3.5-4.5 USM is an EF-S-mount APS-C lens. The aperture range is f/27 to f/3.5. This range works for general photography, but you can’t expect it to produce crisp low-light shots. This lens has one super-ultra-low dispersion element and three aspherical elements. The Canon EF-S 10-22mm f/3.5-4.5 USM has Super Spectra coating. This lens has internal focus and a ring-type Ultrasonic Motor AF system. Working together, these features produce what we think is more than satisfactory image quality. A potential issue is the performance of the Canon EF-S 10-22mm f/3.5-4.5 USM when wide open. Apparently, contrast is not as good as that in other lenses in this price range, which means more post-processing work. The Tokina 11-16mm f/2.8 AT-X116 Pro DX II is especially for APS-C sensors. This lens has an aperture range of f/22 to f/2.8, which we think is useful enough for casual photography. This lens has an internal focusing AF motor, which performs reportedly well. It also comes with a one-touch focus clutch mechanism. The Tokina 11-16mm f/2.8 AT-X116 Pro DX II has a 77 mm filter thread and comes in a multilayer coating. It uses two super-low-dispersion lens elements and two aspheric elements. However, as is common among third-party lenses, this Tokina lens does not focus as quickly as you may want it to. The wide aperture may manage to make up for that in most occasions. Overall, we think this is a good and practical choice for a wide-angle lens for your Rebel T7i. This Canon lens is an APS-C-format EF-S-mount lens with two UD and three aspherical elements. It has an aperture range of f/22 to f/2.8, and it comes in Super Spectra coating. The Canon EF-S 17-55mm f/2.8 IS USM has the Optical Image Stabilizer, a ring-type Ultrasonic Motor AF system, and a rounded 7-blade diaphragm. We think the maximum aperture of f/2.8 should be optimal for most occasions. It should be sufficient if you are a casual photographer. The focal length range is not bad at all. It is by no means the widest, but it gets the job done. Vignetting and distortion problems may occur from time to time, depending on where you are shooting. However, these are typical issues that even more expensive lenses are not spared from. 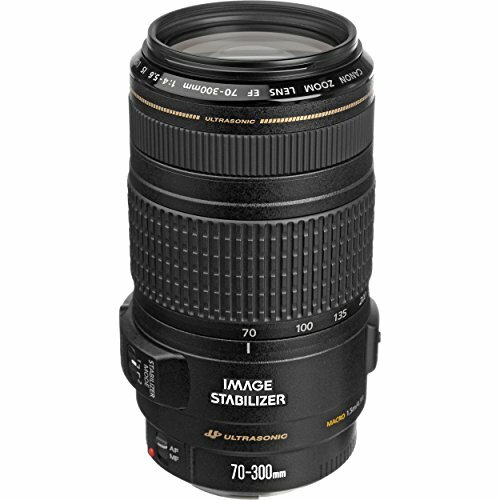 The Canon EF 70-300mm f/4-5.6L IS USM is an EF-mount full-frame lens with an aperture range of f/45 to f/4. If you are into shooting portraits, you may find this maximum aperture still too small. This Canon lens has a rounded 8-blade diaphragm and two ultra-low dispersion elements. It comes in Super Spectra and Fluorine coatings and weather-sealed construction, which makes this a great lens for outdoor or wildlife photography and other applications where you tend to be exposed to the elements. The Canon EF 70-300mm f/4-5.6L IS USM has the Optical Image Stabilizer, a ring-type Ultrasonic Motor AF system, and floating focus. In general, we believe that this telephoto zoom lens gives just the right value for money. This lens from Canon has an aperture range of f/45 to f/4. The Canon EF 70-300mm f/4-5.6 IS USM is a full-frame EF-mount lens with one ultra-low-dispersion element. It comes in Super Spectra Coating, as is typical among Canon lenses at this price point. 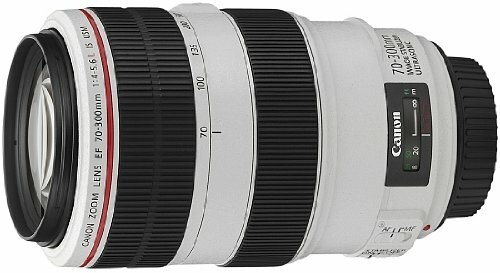 The Canon EF 70-300mm f/4-5.6 IS USM has the Micro Ultrasonic Motor AF system and Optical Image Stabilizer (up to 3 stops). This lens has a rounded 8-blade diaphragm. The zoom ring can be locked at the 70 mm position, which leaves you with a highly portable lens. The Canon EF 70-300mm f/4-5.6 IS USM is a standard telephoto zoom lens that we think works great for nearly all telephoto applications. The Canon 55-250mm f/4-5.6 IS STM is an EF-S-mount APS-C format lens that has an aperture range of f/32 to f/4. It uses the Optical Image Stabilizer and STM Stepping AF motor. The diaphragm is of a rounded 7-blade design. This lens has one ultra-low-dispersion element and comes in Super Spectra coating. All in all, the Canon 55-250mm f/4-5.6 IS STM appears to be an ideal option for those who are after an affordable and compact lens that performs well under most conditions. We like its performance, and we believe this lens is substantially better than most of the other models you can find at this price point. It is still not safe from criticisms, of course. The good thing is that the negative reports that we have heard so far about this Canon lens are quite few and isolated, so there does not seem to be a lot of reasons to be concerned. The Tamron SP 150-600mm f/5-6.3 Di VC USD G2 is one of the best lenses for the Rebel T7i. It is a full-frame Canon EF-mount lens with an aperture range of f/40 to f/5. This lens has three low-dispersion glass elements. It comes in BBAR, eBAND, and Fluorine coatings, a moisture-resistant construction, and a detachable Arca-type tripod mount. 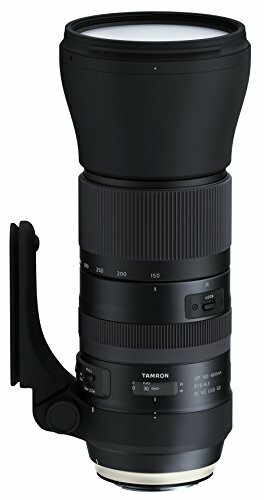 The Tamron SP 150-600mm f/5-6.3 Di VC USD G2 is also compatible with the TAP-in console. This lens has the Ultrasonic Silent Drive AF motor and VC Image Stabilization. The zoom has the so-called Flex Zoom Lock and a zoom lock switch. 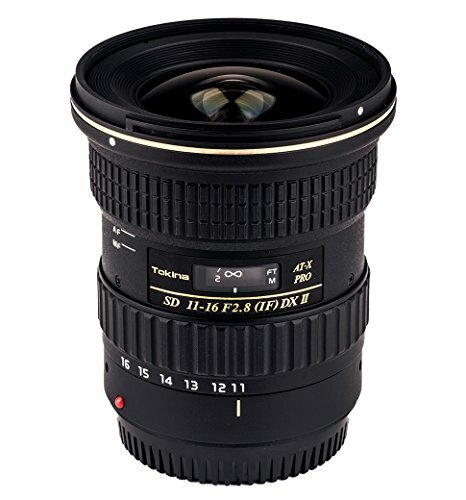 This lens from Tamron is a Canon EF-mount lens with an aperture range of f/40 to f/5. It has three low-dispersion glass elements, BBAR and eBAND coatings, rounded 9-blade diaphragm, and a detachable mount for a tripod. 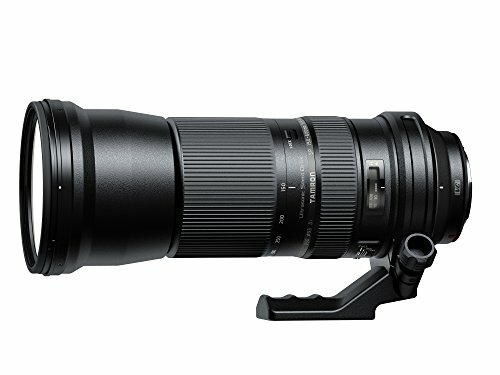 The Tamron SP 150-600mm f/5-6.3 Di VC USD has VC Image Stabilization and the Ultrasonic Silent Drive AF motor. One of the things we love the most about it is that it has a full-time manual focus mechanism. 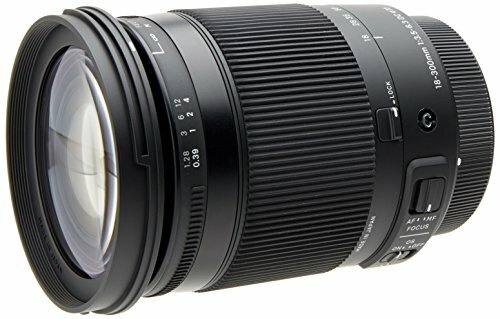 All in all, we like the Tamron SP 150-600mm f/5-6.3 Di VC USD and think it does quite well for the price. Its maximum aperture (f/5) is still relatively small, so do not expect it to produce killer low-light shots, but other than that, it’s all good. Cameras today typically already come with so-called kit lenses. These lenses can be used for general photography most of the time, but they are typical of noticeably low quality and deliver poor performance. This is why many pros advise that you replace your camera’s kit lenses right away, especially if you are into a special photography niche. These are some types of camera lenses you can buy. Chances are, your kit lenses are standard zoom lenses. They generally have a focal range of 35-70 mm. Images shot with standard lenses resemble what you naturally see with your eyes. Lenses under this category tend to have fast maximum apertures, which are typically beneficial for shooting with shallow depths of field or under low-light conditions. Macro lenses are classified as specialist lenses and have focal lengths of 40-200 mm and reproduction ratios exceeding 1:1. However, nowadays, even lenses that do not have such reproduction ratios but are used for extreme close-up photography are labeled macro lenses. Macro lenses are known for their sharpness. However, they also have a small depth of field, so when shooting from a close distance, there is a chance that only a part of your small subject is in focus. These lenses cover a wide range of focal lengths. While you zoom, your superzoom lens should be able to change in length, going from telephoto to wide. This is why they are often used for situations or events that call for varying focal lengths but you do not want to keep changing lenses. The downside of superzooms is that they typically have slow maximum apertures. They also have relatively inferior image quality compared with dedicated lenses. In general, people define telephoto lenses as those whose focal lengths exceed 70 mm. In comparison with other lenses, telephotos have remarkably narrower fields of view. Telephoto lenses are therefore often used to shoot subjects that are physically far away. They also produce this effect where the distances among objects appear closer than they actually are. These lenses are often used for wildlife, sports, portraits, landscapes, and similar applications. These lenses can be zooms or primes and have fixed or variable maximum apertures. Wide-angle lenses generally have focal lengths of 24-35 mm. They also have short minimum focus distances. Wide-angle lenses can make the distance between objects in the background and in the foreground appear to be larger than it actually is, so you have a lot of opportunities to produce artistic images with magnified curves and lines. Like macro lenses, ultra-wide-angle lenses are considered specialist lenses by many. However, people are finding more and more new applications of these lenses. That includes architecture, interiors, and landscape. Ultra-wide-angle lenses have wide fields of view (ergo large depths of field). They make nearby objects look closer together than they actually are, and faraway objects look farther apart than they really are. These are some of the most common lens types you can find on the market today. Once you discover what you really like shooting, go find and invest the right lens for you and your preferred style.